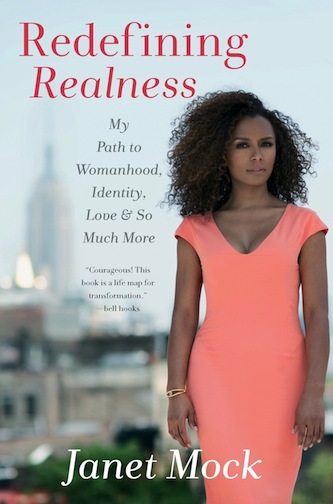 For those not plugged in to this corner of the ‘verse (and don’t follow CNN or Stephen Colbert), Janet Mock is a writer and advocate who focuses on “speaking about the struggles, triumphs and portrayals of girls and women like herself”. She created the #GirlsLikeUs movement to encourage and empower other trans women of color to live visibly and proudly. She’s a board member of the Arcus Foundation for Social Justice, she advises young people and trans youth programs, writes and speaks all over the internet and all over the country, and so much more. Earlier this month her first book and memoir hit the shelves and she embarked on an interview and book tour. In short order Redefining Realness has made it onto the New York Times Bestseller list. Part of that book tour included an interview and book signing stop in DC at the Martin Luther King Jr. Memorial Library on February 13th but when the entire city shut down that day for a snow storm (as it is frequently wont to do) we were sad to see the event canceled. You can imagine, then, my excitement when it was rescheduled for yesterday, February 25th!